Beckett & Associates | Meet Our Veterinarians Here! 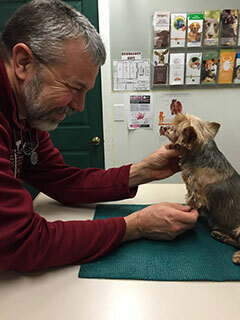 Stewart 'Chip' Beckett, is the founding Veterinarian of our animal clinic. He graduated from Purdue University in 1982 with his Doctorate of Veterinary Medicine. He opened his own practice in 1983 after doing one year of relief work in upstate New York. Dr. Beckett’s primary medical interests are surgery, orthopedic evaluations for both small and large animals, and acupuncture & chiropractic care. His intrest in alternative therapies has evolved to include prolotherapy, platelet rich plasma, laser and other modalities to assist with healing and return to function. In addition to running the practice, Dr. Beckett also spends his time maintaining the property as a working vegetable farm, raising sheep, and staying very active in the local Glastonbury community. 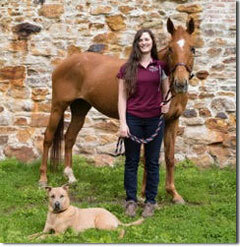 Dr. Jennifer Webb joined the Beckett & Associates team as an associate veterinarian in April 2009. After graduating from Mount Holyoke College in South Hadley, Massachusetts with an B.S. in Biology, Dr. Webb attended St. George's University in Grenada, West Indies. She completed her 4th year rotations at Texas A&M in College Station, Texas. Dr. Webb's background includes extensive externships in Connecticut, Massachusetts and New Hampshire; focusing on small animal medicine and equine performance medicine. She has a special interest in canine behavior and ultrasonography. 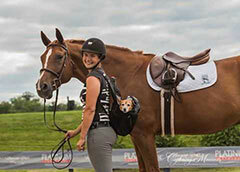 Dr. Webb is an avid horse enthusiast, spending much of her spare time riding and showing her adult amateur hunter, Wynaught or hiking with her dogs Pepper, Savannah, and Fanny. Dr. McIntosh graduated from The Ohio State University College of Veterinary Medicine in June 2009. She completed undergraduate studies at Connecticut College where she was captain of the equestrian team for two years. A native of New England, Cait returned to Connecticut in 2015 after practicing in upstate New York for 6 years. 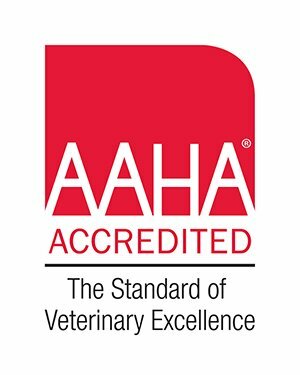 Dr. McIntosh enjoys all aspects of veterinary medicine but has special interest in small ruminant and pet pig medicine, equine reproduction, and pain management & acupuncture/chiropractic for both small and large animals. When not working, Cait spends most of her time with her husband Mike, their sons Elijah & Wynston, and their animals. They have a small farm with chickens, goats, sheep, bees, horses, a dog and two cats. She enjoys ice hockey and riding her Icelandic horse Valur. Dr. Stephanie Tornaquindici joined our team in Febuary 2017. Dr. Tornaquindici graduated with a B.S. 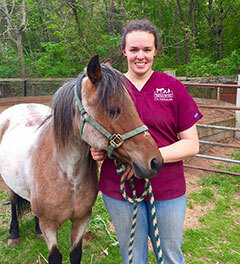 in Pre-veterinary Animal Science from the University of Connecticut in 2012 and has had a lifelong love of animals. After receiving her DVM degree from Tufts University in 2016, she traveled to Brazil, assisting with missionary work and providing basic veterinary care for local dogs & horses. She grew up in Portland, CT and is excited to be practicing in her home community. Stephanie has a special interest in soft tissue surgery, diagnostic imaging and reproduction. Helping care for the family’s herd of Boer goats since 2015 has fostered her love for small ruminant medicine. In her free time, she enjoys hiking with her dogs, Max and Tucker, crafting, and playing the piano.